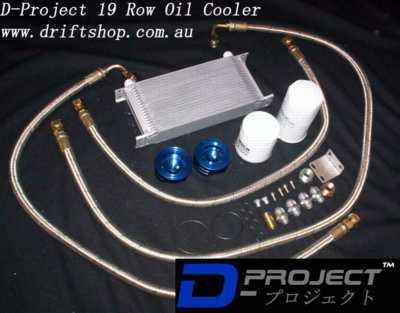 www.driftshop.com.au - Providing Quality Parts to the Public at WholeSale Prices! 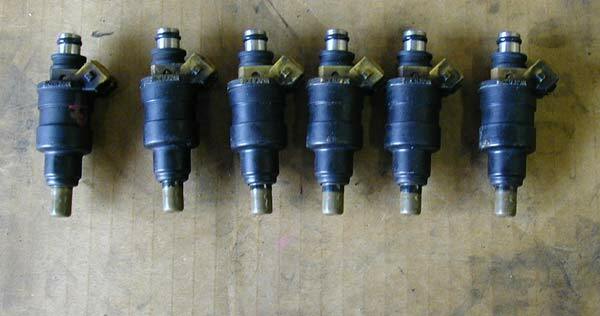 Engine Components - Injectors - Fuel pumps - Manifolds - Dampeners. Preserve the health of your engine and engine oil when boosting at the track or on the street. Prevent premature engine failure and excessive turbo wear by keeping the oil cool. A must have for any serious performance car ! SUS321 Grade Stainless. TIG Welded and Polished. Cast Stainless flanges and Tabs welded in to prevent cracking and heat fatigue. Metal gaskets and studs are included although not pictured. Gain 10+rwkw, greater low down torque and reduce turbo lag. Compliments Dump Pipe upgrade and high flow exhaust. 12 month limited warranty against cracking. We run this on our S14 Track car with great sucess at Phllip Island and Sandown. SUS304 Grade Stainless. TIG Welded and Polished. CNC Machined Cast Stainless Flanges. Metal gaskets and studs are included. Gain more top end power, greater low down torque and reduce turbo lag. Compliments Exhuast Manifold upgrade and high flow exhaust. SUS304 Grade Stainless. TIG Welded and Polished. CNC Machined Cast Stainless Flanges. Metal gaskets and studs are included. 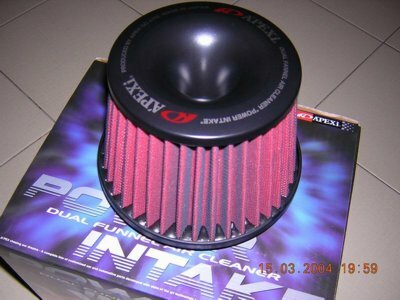 Gain more top end power, greater low down torque and reduce turbo lag. Compliments Exhuast Manifold Upgrade, TOMEI Dump Pipe and Cat back exhaust Combined with Highflow Cat. Complete Exhaust Systems will be avaiblle soon! Free Fitting with Tomei Dump Pipe. SUS304 Grade Stainless. TIG Welded and Polished. CNC Machined Cast Stainless Flanges. For race use only - No Cat means less back pressure and more power throughout the rev range. Free Fitting with Tomei Front Pipe. Replaces the flawed SR20DET sump arrangement with this TRUST Design Sump that includes baffles to prevent windage. Prevents bottom end oil starvation during high cornering loads in Grip or Drift. Preserve the life if your engine at every track meet. Similar product used in JMS' Blue Drift 180sx (pictured). Rocker Arm Stoppers prevent the lash caps from comming off your valves at high RPM during drifting corners/bouncing off the limiter. When the lash cap falls, the valve train will grind to a halt and theres a good chance that your engine will fail completely. Avoid Costly engine rebuilds - Install a RAS and explore the upper limits of your redline with peice of mind. Essential for any SR20DET weather it be street or track driven. Fitting available in Melbourne at the workshop! Imported from Japan Direct, The Dual Funnel Power Intake evolved from the highly successful Super Intake also made by Apex'i. Subtle refinements in the design and filter element resulted in a 10% reduction in pressure drop. 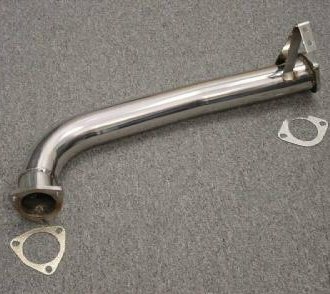 Utilizing an upper and lower funnel, the Power Intake reduces air turbulence within the filter and creates smooth air flow into the throttle body. The Power Intake is a maintenance-free dry-type air filter and will alleviate the problem of filter oil from "wet" air cleaners interferingwith the air-flow meter. Because the filter is a pure cotton element, it contains no oil and is ADR Safe. Accept no imitations. Filter is cleanable with K&N Recharge Kit. Imported from Japan Direct, the Sard Rising Rate Fuel Regulator is the best on the market. It holds the highest pressures and more importantly its the most stable with its linear progression. Constructed out of CNC Billet Aluminum and with an anodised finish for extra durability. Fits all Turbo and N/A EFI Cars. Increase your power and prevent detonation due to leaning out during high revving and boosting. Can add upto 30rwkw over the stock fuel system capacity by using a Quality Bosch Fuel pump and a Rising Rate Regulator. 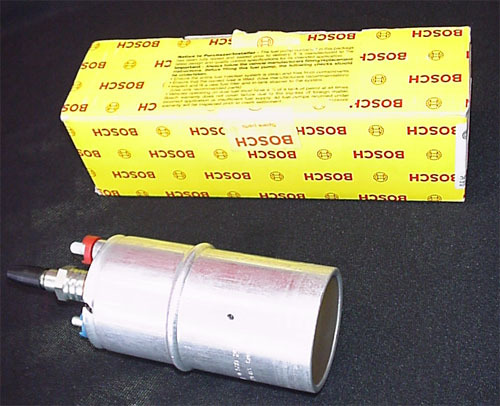 Suitable for all applications upto 500HP running 23 - 116 PSI Fuel Pressure. Installation availble in Melbourne for only $70 including materials at the workshop. 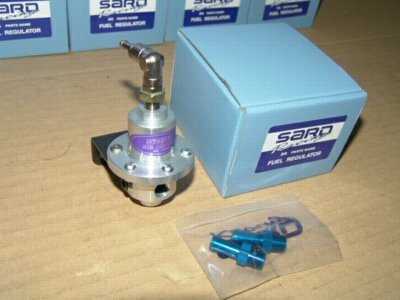 Imported from Japan Direct, the Sard Rising Rate Fuel Regulator is the best on the market. It holds the highest pressures and more importantly its the most stable with its linear progression. Constructed out of CNC Billet Aluminum and with an anodised finish for extra durability. Fits all Turbo and N/A EFI Cars. Increase your power and prevent detonation due to leaning out during high revving and boosting. 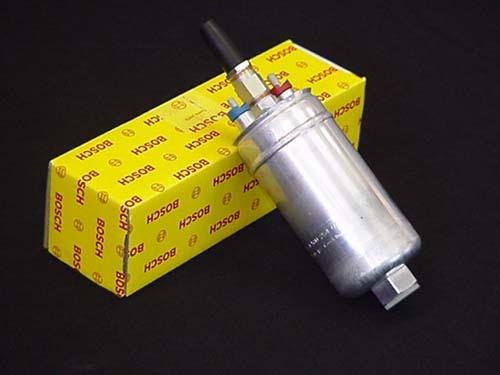 Can add upto 30rwkw over the stock fuel system capacity by using a Quality Bosch Fuel pump and a Rising Rate Regulator. Suitable for all applications OVER 500HP running 23 - 116 PSI Fuel Pressure. Custom made and designed by D-Project out of Billet Aluminium. Features O Ring Groove for better seal and eliminates leaking. Required to fit the Sard FPR's onto Nissan / Toyota / Subaru and Mitsubishi Engines. 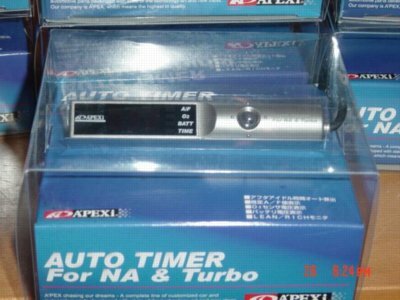 Imported from Japan Direct, the APEX'i Turbo Timer is one of the most popular and smallest around. it mounds conveniently to your dash with minimal fuss. The remote control box is approximately the size of a match box and the loom is generous enough to place the turbo timer virtually anywhere in the cabin. Advanced featurs include A/F Ratio Readout, O2 intake, Battery charge and Auto Turbo Timer - Set and Forget. Insturctions are both in Japanese and English for ease of operation. On Special for January only - Free Delivery! The original BOSCH Motorsport Pump that all the High Horsepowered Cars Use. Vastly superior flowrates at high pressures. Engineered in Germany. Suites VL Turbo and External Fuel Pump Upgrades. Can be adapted for use as an InTank pump with fuel sock attatchment. Suites Nissan Silvia (S13/S14/S15), 300ZX, GTR and Toyota Soarer, Supra and InTank Fuel Pump Upgrades. Replaces the heavy Cast Iron SR20DET pully arrangement with this Light Weight 3pc TRUST Design Pully Set made from CNC Machined Billet Aluminium. Gain more Torque and engine revs by u using this kit. 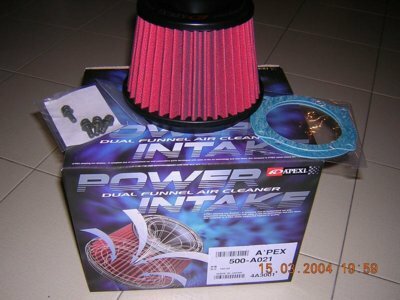 Similar product used in JMS' Blue Drift 180sx.